PvP All Day has created a Represent Campaign to help towards paying for server costs and future community events and giveaways! 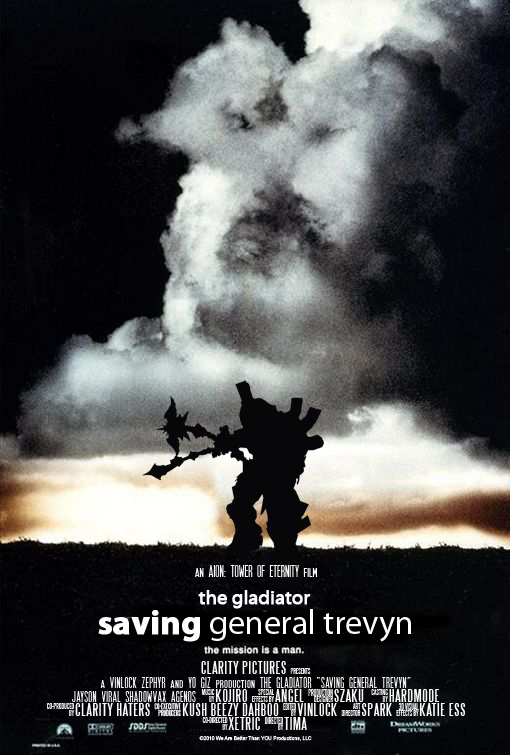 The Elyos Leader, Trevyn, betrayed by his own people. Brought down by the Anti-Clarity Conspirators. Aion: Tower of Eternity brings you on an epic adventure into the story of one of the strongest legions in history to save their leader The Gladiator from the GMs misconstrued cleave.